Hyde900 organised a community dig event that took place April 27th to 30th, following on from the highly successful event organised last year. In a remarkable post-script to the previous announcement issued earlier today by Hyde900 concerning the discoveries made in its Bank Holiday Community Dig, we are delighted to announce a further important development. 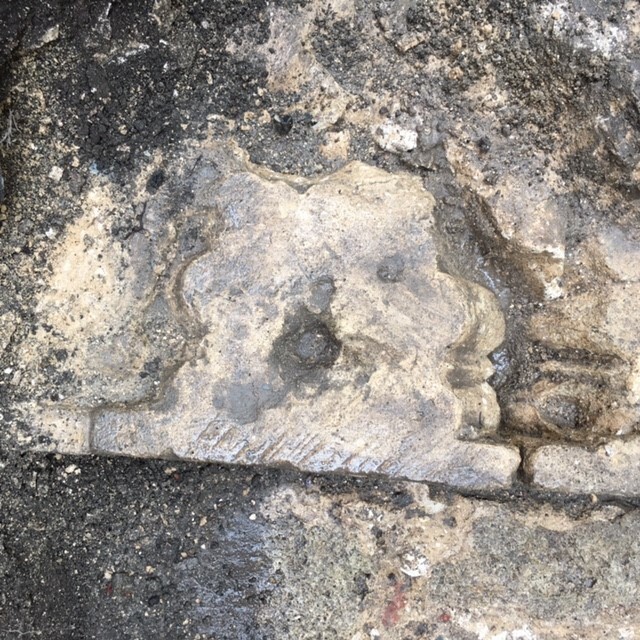 Following the cleaning of stones this afternoon by Hyde900’s David Spurling in one of the principal excavation pits in King Alfred Terrace, householder Chris Prior decided to take a closer look at what had been exposed. Having scooped away some loose mortar he realised that what he had come across was, almost certainly, a capital to a column (a very rare object in the Hyde context). In fact, as he trowled further there appeared to be a series of these capitals. 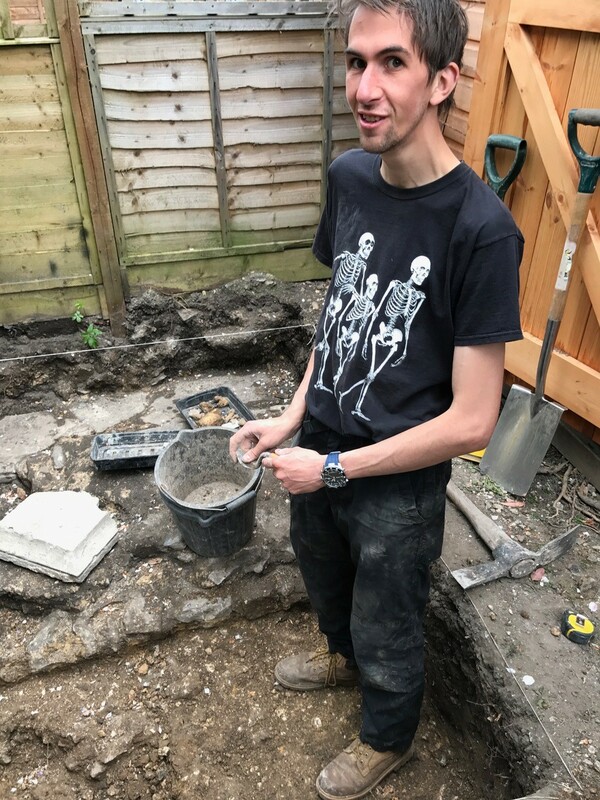 The team arrived to collect equipment for the dig which was duly moved to the gardens of 14 and 15 King Alfred Terrace, the site of the year’s dig and the second in the series of annual Hyde900 digs on the site of the church and cloisters of the lost minster of King Alfred the Great. The position of the trenches had been the subject of several discussions – we had the information on what had been found during gardening by Chris Prior, who with his wife Anne owned no 14. P>The day got off to an early start with the writer getting to the BBC Radio Solent for an interview at 0725, followed by an hour of traffic jams to return to Winchester. Somewhat vital as I had the Organisation and Sign on tent in the back of the car. However, this was mantled in time to receive the first set of enthusiastic volunteers…. To view videos of the opening day of the dig see the link below. To view videos of todays dig see the link below.